Hailing from Las Vegas, Electric Radio Kings is an electrifying new band featuring ex-L.A. Guns guitarist Stacey Blades. The music is not only modern and new, but it will resonate with rock music fans everywhere. At the forefront of the band is singer Paul Christiana and Blades. The duo has been working together since 2013. Rounding out the band is guitarist Keith Horne, drummer Johnny Rude, and bassist Del Cheetah. The band’s sound is all their own and includes a mixture of bands such as Cheap Trick, Foo Fighters and Stone Temple Pilots. The introductory five song EP, Lights Fantastic, was produced by A.J. St. James (James Durbin) and recorded at Desert Moon Studios in Las Vegas. Electric Radio Kings’ first single Grabbing at a Distant Star, was released in November and is sure to not only delight rock fans, but also earn the band a following. The second single, Sympathy for Me, has just been released. In addition, the band just wrapped up their first music video. On the EP the band also covers Stone Temple Pilots’ Huckleberry Crumble. The members are passionate about this new endeavor. 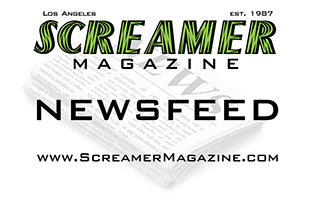 In a recent interview with Screamer Magazine, Blades talks about his start in music, how the band got its start and what’s in store for music fans. Blades came from a very musical family, so it was only natural that he continue on that same path. “When I was nine, my mom signed me up for piano lessons, so I took piano lessons for two years solid with recitals and everything,” he said, “…my great uncle was like Liberace. He was just an incredible piano player. He was always decked out in rings and he was very flamboyant.” Blades was constantly around music, and there was a piano in his childhood home. By the age of eleven, he was not only an excellent piano player, but he was also skilled at reading music. At the age of eleven, his parents gave him an acoustic guitar for Christmas. “When I picked it up, that was it…I was obsessed. I dropped piano and started taking guitar lessons,” he reminisces. He began taking guitar lessons and eventually started taking lessons at a local music store. “I remember when I first walked in and there were guitars all over the walls I was like ‘Oh man,’ and it changed me. I remember one of the teachers, John – he had long blonde hair, and he was really good. He was just ripping on a Fender Stratocaster and my jaw was on the floor. I was like that’s it – that’s going to be me. That was a defining moment in my life,” he said. Blades’ earliest musical influences include Led Zeppelin, Aerosmith, Van Halen, The Cars, and Cheap Trick. “A lot of my friends had older brothers and sisters and that was how I was exposed to all this great music,” Blades said. As far as guitarists who influenced him, that includes Jimmy Page, Jimi Hendrix, Joe Perry, Neil Schon, Eddie Van Halen and Randy Rhoads. Blades eventually found himself living in Los Angeles and joined L.A. Guns in 2003. “It was a good run. When I first started in the band it was very exciting. I loved the band when they came out in 1988. I did eight world tours with them and five records with them and it was an awesome time,” he said. Eventually, he started to get burned out and felt himself going in a different direction. Once he made the decision to leave the band in 2013, he moved to Las Vegas. It was in Vegas where Blades first met Christiana through producer Andy Johns. They initially got together when they were working on some mutual studio recording. It went really well, and Blades and Christiana had an immediate chemistry. Around this same time, Blades put together an all-star band called Let it Rawk, which has become popular among the fans of ‘80s rock music. Christiana got in touch with Blades in 2017 because he wanted to put something together. They had always recorded in L.A., so Blades asked him to come to Vegas. “There’s such a great music scene here. So many great musicians are moving here or have moved here,” Blades said. Blades got some musicians together, Christiana went to Vegas to record. “When we got together to record it just kept blossoming,” he said. This was the fourth time Blades and Christiana had worked together and they really worked well together. “When you have that songwriting chemistry with someone it’s a rare gift because you feed off each other, you finish each other’s thoughts,” Blades said. So, when it came to the songwriting process, it came easy. Since they lived in different cities, they would record parts on their phones and email it to each other. Christiana would send a part to Blades who would then finish it up and demo it. Blades said, “All these great songs we have were over the phone, which is pretty amazing.” Christiana writes the lyrics and comes up with the main idea. Blades will then come up with the pre-chorus and they come up with the chorus together, or a bridge section. “There’s one song that we have that he and I wrote the lyrics together, but mainly he is the main lyric writer,” Blades explained. “When we decided to put this new band together, I wanted to do something new and refreshing. I wanted to do something a little different,” Blades said, “What I wanted to do is take the best of the ‘70s, ‘80s, ‘90s and 2000’s and put it into a big Crockpot and have that approach. There’s a lot of great elements in our new material.” The band’s influences from those decades has helped to create music that will appeal to everyone. “The music has this mass appeal as far as the approach and the sound,” he explained. What does Blades want people to know about the new music from Electric Radio Kings? He wants people to know that their music is well written, melodic and catchy. “We’ve lost so many good musicians. We’ve lost Bowie. We’ve lost Prince. We’ve lost Michael Jackson. We’ve lost Chris Cornell. It’s frightening. And who is taking their place? 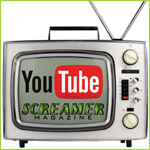 That’s what we are about – making some really great music,” Blades said.